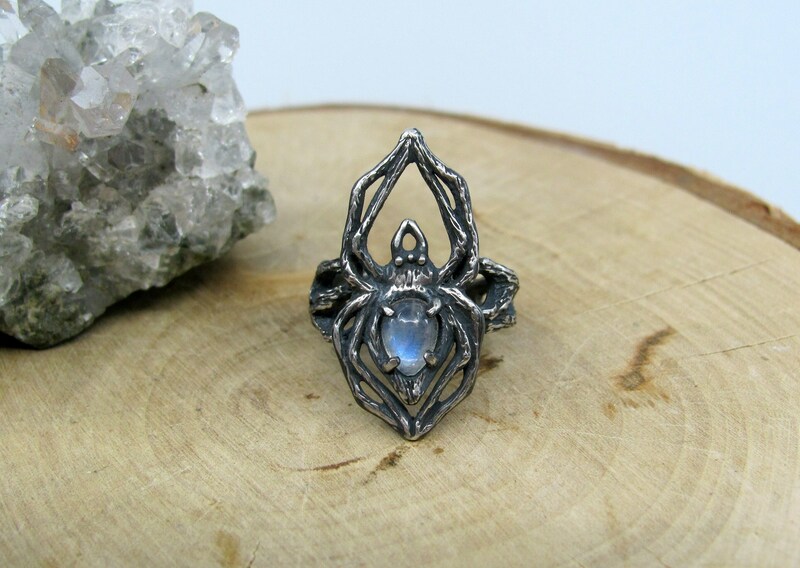 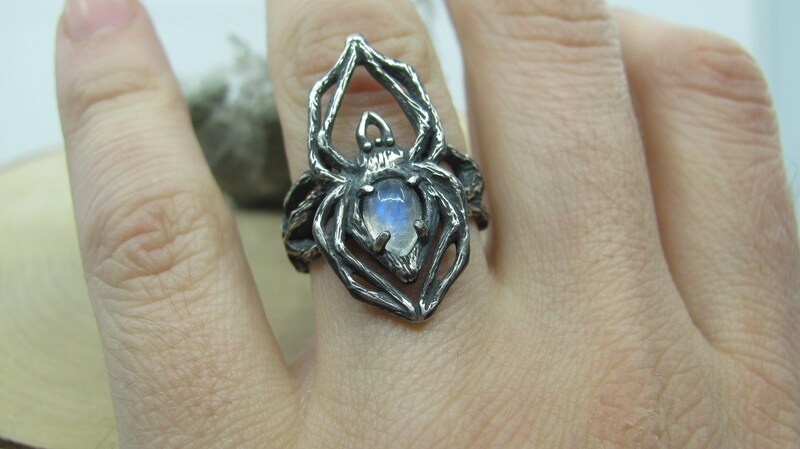 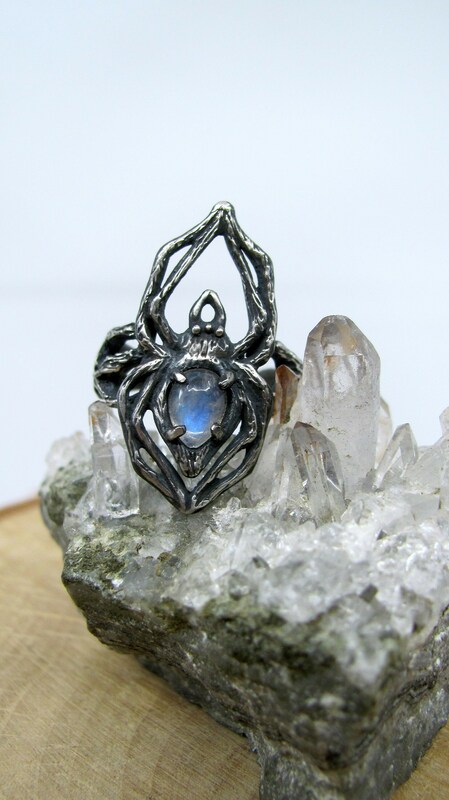 Arachne Ring with Moonstone - Made to order in your size! 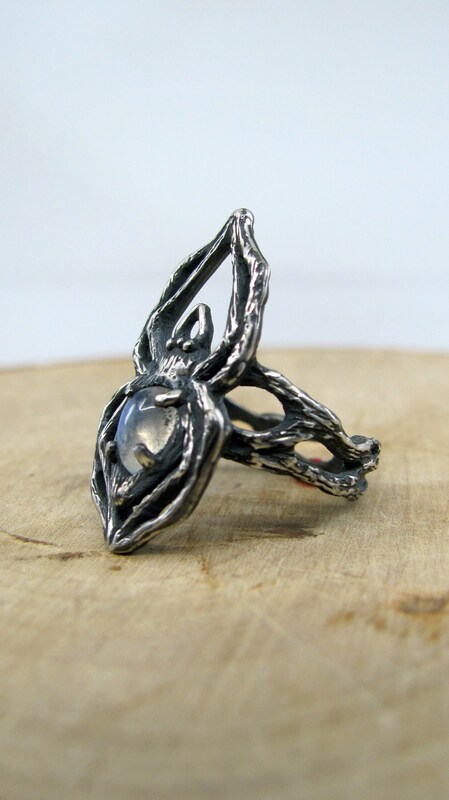 Dimensions: The head of the ring measures at approximately 1.25" long and .5” wide & the ring band measures at approximately 5mm wide. 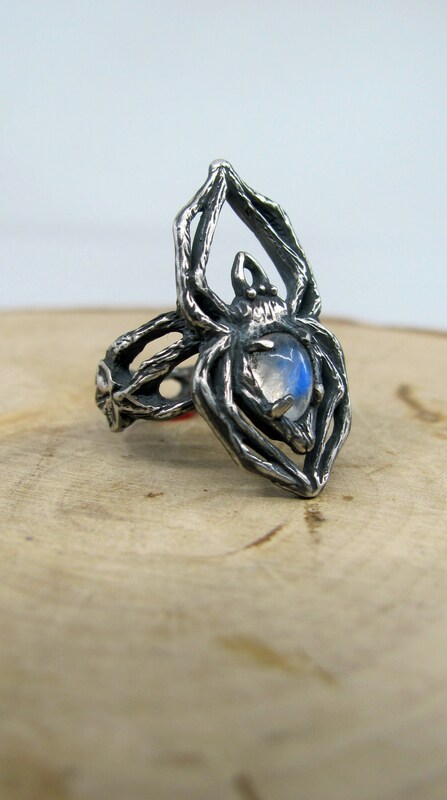 Select your ring size from the drop down menu!